Students learning in the field. 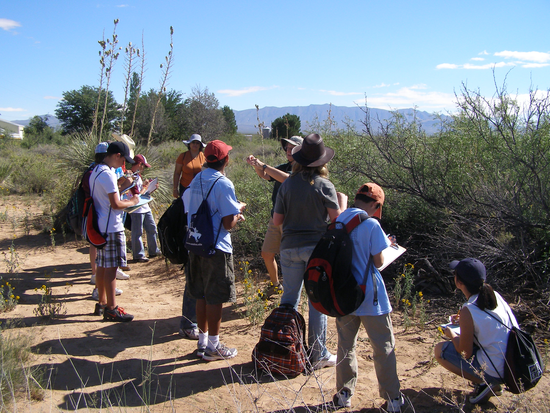 EEANM has a new certification for environmental educators in New Mexico. It establishes high standards for the professional qualifications of environmental educators in New Mexico. A diverse team of experienced environmental educators from across the state worked to set specific standards of knowledge, skills and experience that highly qualified environmental educators in New Mexico should be able to demonstrate. An EE Certification Mentorship Program provides additional support for candidates from underserved communities. Read through the EE Certification Program Overview. Applications are currently closed, but will reopen in Fall 2018. To stay connected for this opportunity, please join our free list serve here or follow our Facebook page. Those interested in applying to the EE Certification program should download and complete the 2017 Application form. Please email the completed form to director@eeanm.org. Once your application is submitted, we will send you an invoice for your application fee. Fees are necessary to cover the cost of program administration. Fees are non-refundable. Please note that you must be a current EEANM member to enroll in this program. Memberships start at $30/year and you can join immediately at https://eeanm.org/join/. New Mexico’s program meets requirements for a nationally transferable certification. After completing the current, we will be seeking accreditation by the North American Association for Environmental Education. The certification process is based on competencies and experience – where the applicant will demonstrate what they know, have done and can do. It is based on mastery of the Core Competencies for Environmental Educators, which came from the NAAEE Guidelines for the Preparation of Environmental Educators. See the Self-Assessment for the listings of competencies within each theme. This program is made possible through two small grants from the North American Association for Environmental Education (NAAEE), funded by the United States Environmental Protection Agency (EPA) Office of Environmental Education, the Albert I. Pierce Foundation, and countless volunteer hours of the planning committee. 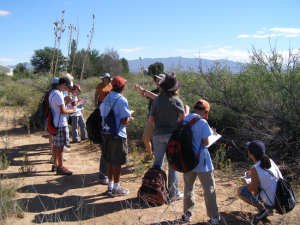 The New Mexico Environmental Education Certification Program Advisory Committee (NMEECPAC) worked from September 2009 to April 2015 to develop the plan.